Playa Blanca and Barra de Potosi are a perfect surfing headquarters for accessing some of the best and most uncrowded surf breaks on the Mexican Pacific coast. 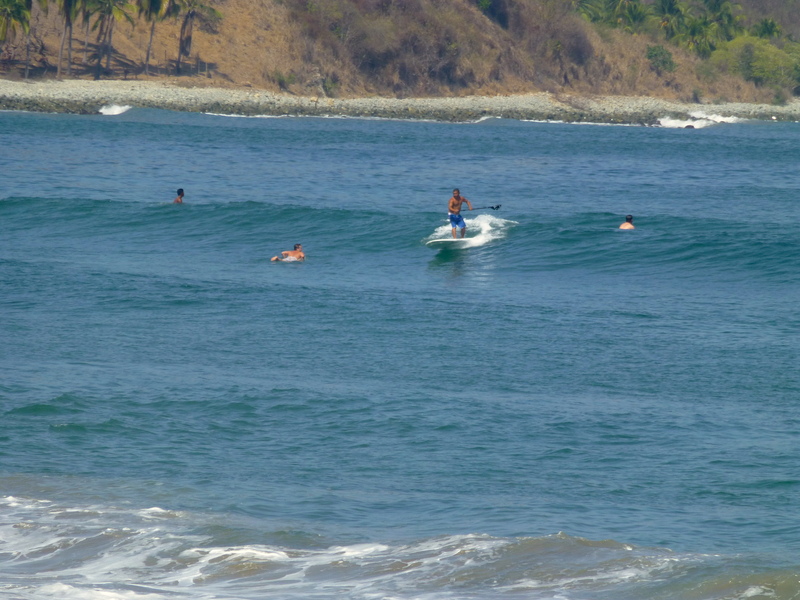 The break at Barra de Potosi is often protected from the south swell and usually provides only a mild but very sweet boogie board wave, but when the swell direction turns, usually during summer, it becomes a legendary break. 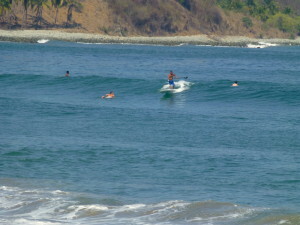 But even when Barra de Potosi is flat, there are several nearby, little-known breaks for day trips. They include some of the most epic and raging surf on the West Coast. 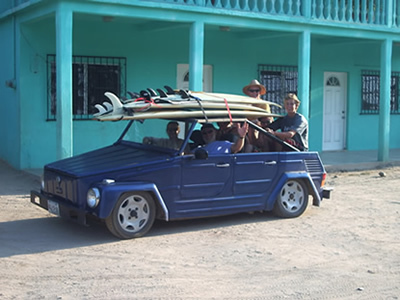 The ethics of surfing do not allow us to publicize them, but serious surfers know how to find them and the guide services listed below can provide details and transportation. 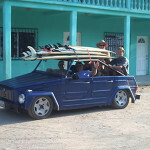 Our top recommendation is Chimini, a surf guide who lives full time in Barra de Potosi. From the US, you dial +52 1 755 115 5238. From Mexico the number is just 755-115-5238. Another option for guide services is CatchaL’Ola.